The Guthrie Theater is a national center for theater performance, education and professional training located in Minneapolis, MN. 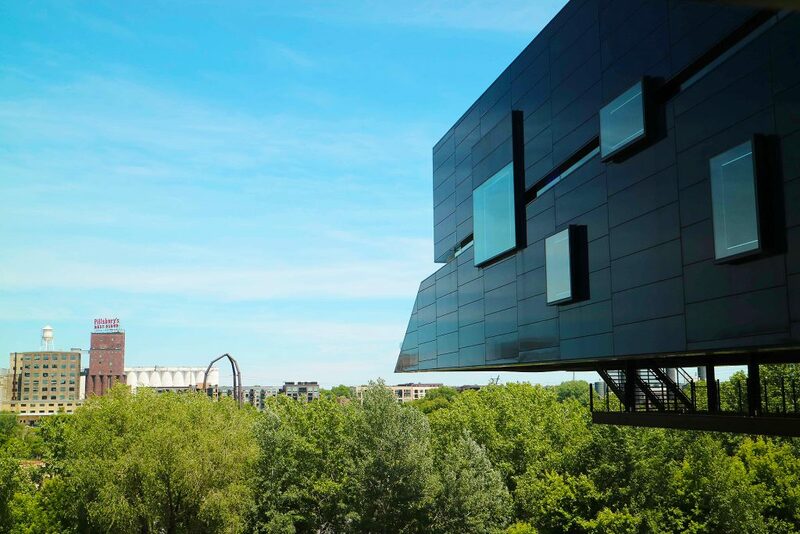 Designed by internationally recognized French architect Jean Nouvel, the Guthrie is also one of the most recognizable buildings in Minneapolis, drawing visitors to see shows as well as take in the modern blue structure and panoramic views of the Mississippi River. The Guthrie overlooks the Mississippi River in downtown Minneapolis. 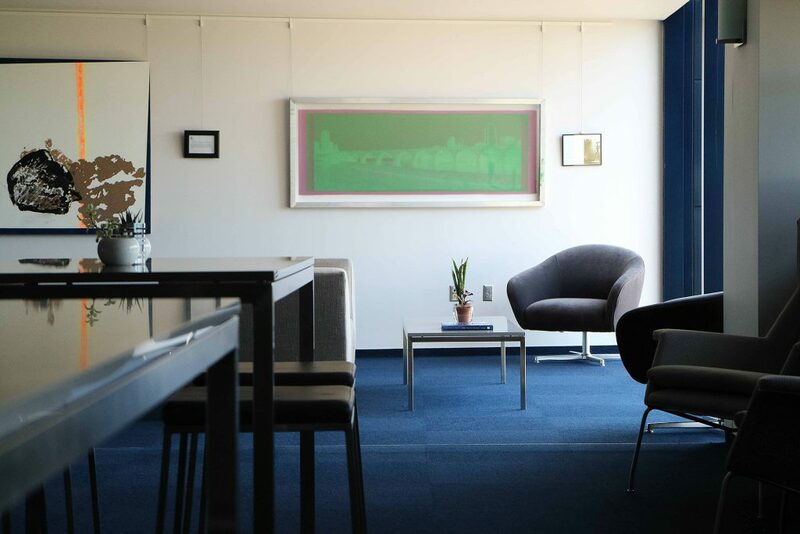 The Guthrie recently called on Room & Board to help them furnish their Kitchak Lounge, a VIP space for donors to relax and mingle during intermission and special events. While the view and location of the lounge were ideal, the furnishings were in need of an update. 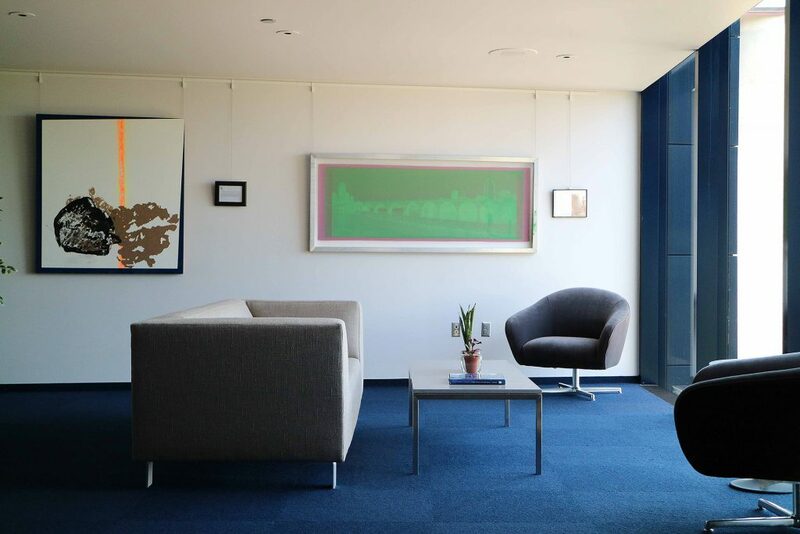 In addition to the complimentary design services we are always happy to provide, Room & Board also donated furniture to bring the room to life for this arts organization. Design Associate Aaron Dahl at our Edina store oversaw the project in partnership with the Guthrie. To kick off design planning, the Guthrie team shared room measurements, color preferences and details about how their donors use the space. 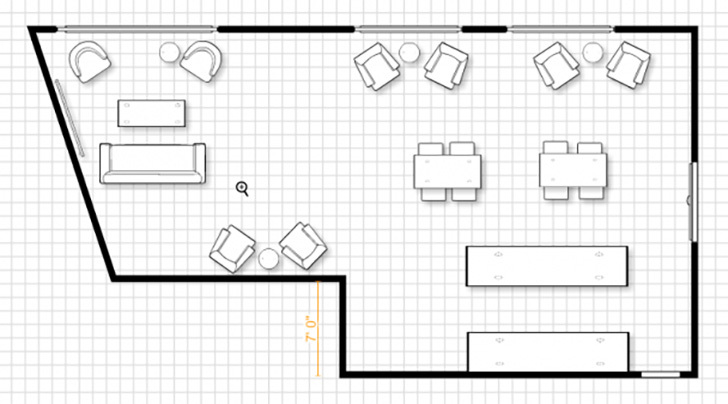 Aaron’s floor plan for Guthrie Theater’s Kitchak lounge. Aaron created a digital floor plan for the room and curated furniture recommendations, then invited the Guthrie team back into the store to see pieces in person and make final selections. “My goal was use pieces that were sleek and modern with a close color palette that wouldn’t compete with the view, but rather enhance it,” said Aaron. The design plan included a Chelsea sofa, Aidan chairs, Portica counter tables and Collins counter stools. Several seating areas maximize the view of the Stone Arch Bridge and Mississippi River. 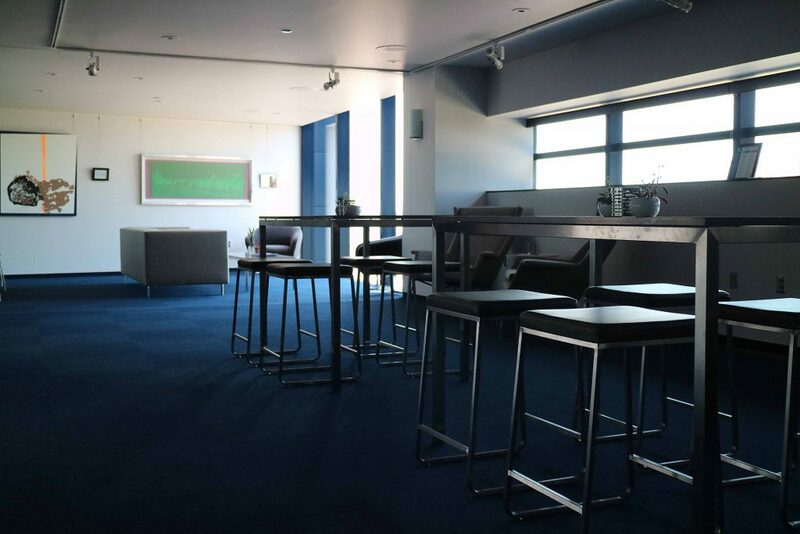 Quartz tabletops and commercially rated fabrics ensure the furniture can stand up to the lounge’s 400+ monthly visitors. Portica counter tables with quartz tops are the perfect spot to perch with a drink during intermission. Aaron designed the room using stocked items that were available right away to ensure the furniture could be delivered before the Guthrie’s next opening night. Danielle St. Germain-Gordon, Director of Development, shared, “The most notable part of how it worked was how well it all worked. Talk about quick.” Once the order was placed, furniture was delivered and placed by our team within a week. The updated Kitchak VIP lounge can comfortably seat 18 people. Looking to refresh a space for your business or organization? Learn about Business Interiors and our free design services, plus get design ideas for your own space.